Posted 10/26/2015 3:15pm by Gregg Keckler. National Geographic Society - Tuesday, October 27 from 9-2pm in the courtyard. Posted 10/26/2015 3:12pm by Gregg Keckler. thanks for signing up for our Extended Fall session. Remember to bring all your boxes back to your pick uplocatin each week. Gregg will collect them when he delivers for the next week. Remember to check out our online store. 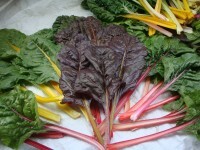 for items that you can add to your CSA share. The plums are free stone plums - great for eating or cooking. The arugala held up through the frost. it is very flavorful and spicy. Enjoy the apple butter. We use apple cider, some brown sugar and a bit of cinnamon. We love cottage cheese and apple butter together. It is a great Pennsylvania Dutch combo. Posted 10/23/2015 2:45pm by Gregg Keckler. We Will be there rain or shine! Posted 10/23/2015 2:42pm by Gregg Keckler. Rain or shine We will be there to bring you vegetables and great apples ! Order your Thanksgiving Turkey NOW! Posted 10/21/2015 2:24pm by Gregg Keckler. Rain or Cold- We will be here to bring you fresh fruits and vegetables as they are picked! Posted 10/19/2015 5:21pm by Gregg Keckler. Order your Thanksgiving Turkeys now! Posted 10/19/2015 5:20pm by Gregg Keckler. National Geographic Society - Tuesday, October 20 from 9-2pm in the courtyard. Posted 10/19/2015 5:13pm by Gregg Keckler. This is the last week of the fall session. If you would like to be sure to receive produce and fruit throughout October and November - SIGN UP NOW! You can make membership updates by going to the website www.orchardcountryproduce.com and update your membership for the Extended Fall session. The Extended fall session begins next week, October 26 and runs through November 21. We have enjoyed providing fruits and vegetables for you during thefall. We hope that you will consider us next year for your CSA. We are planning great fall broccoli, cauliflower, Brussels sprouts, cabbage, lettuce, onions,, winter squash - acorn, delicati butternut, pumpkins, sweet potatoes and of course apples and pears.and cider. We are looking forward to seeing everyone this week. Posted 10/12/2015 3:10pm by Gregg Keckler. National Geographic Society - Tuesday, October 13 from 9-2pm in the courtyard. Posted 10/12/2015 3:07pm by Gregg Keckler.